← REVOLT – Alternative to a Lawn, Step 3 – All grown up! Gift giving…it can get crazy. During this hectic time of year, it helps to step back, evaluate your priorities and think GREEN alternatives to come up with some unique gifts for friends and family and cost saving ways to gather them. I try not to get caught up in advertising hype and gimmick promotions and do my best to avoid looking at all the catalogs and e-mail deals from retailers. For years now, my approach to holiday gift giving has been on-line shopping and buying local. That really applies to most of my shopping. Just not into running around, dodging crowds of people and getting overwhelmed at shopping malls, not to mention wasting time and fossil fuel looking for a parking space. Having perused many websites for green and garden related products, I thought sharing some standouts would get you thinking “options” to fruit cake, slippers and electronics. Could you be a convert to sanity shopping just waiting to be “unwrapped”? With EDF’s Presents for the Planet, you can celebrate holidays, birthdays, weddings and other occasions the eco-friendly way — by giving gifts that protect the Earth. 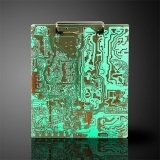 Hand-made in the USA, these computer circuit boards have been re-purposed into clipboards, instead of ending up in a landfill. They come in colors of Green, Red, and Blue and have been cleaned and sanitized from any dangerous chemicals. This is a clever gift for those who work outdoors, even sports team coaches. 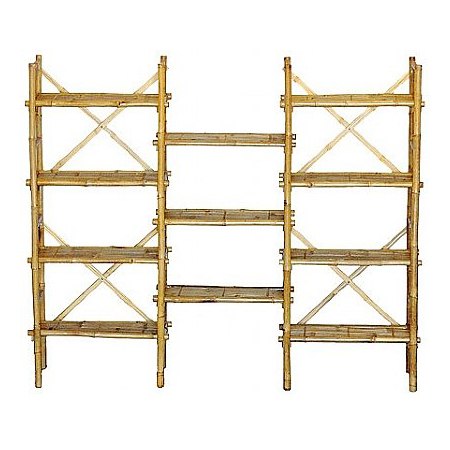 Bamboo Shelves seem ideal for a garden house, greenhouse or all-season porch – great for holding potted plants, storing garden tools or displaying a collection. The Pop-Up Rain Barrel captures and stores up to 60 gallons of free landscaping water. It is made from lightweight, puncture-resistant polyester with a zippered, mesh screen top to keep out bugs and debris and comes with parts for attachment and a pre-installed nozzle. 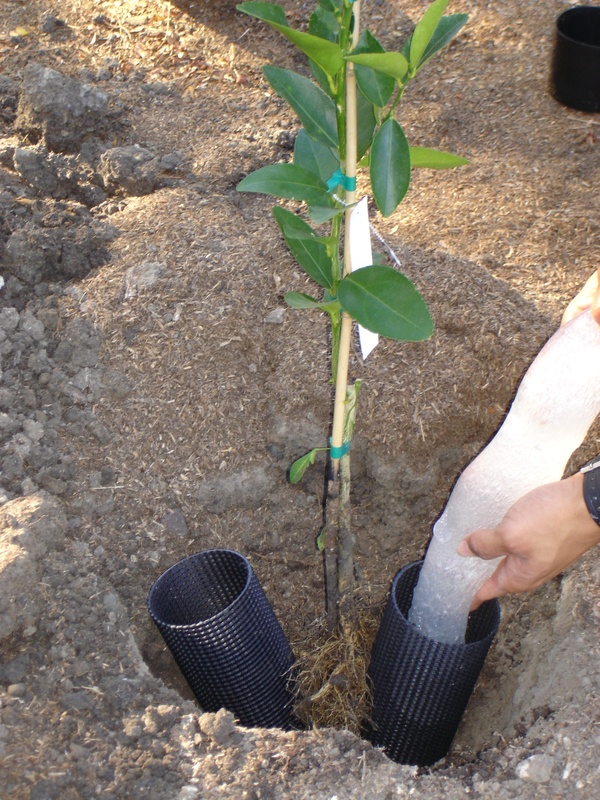 Not a polymer, DriWater is a 100% natural, non toxic product used for the long-term watering of plants. This would be ideal for watering houseplants (or Poinsettias) for people who travel or have two homes. Did you know, for every forty pounds of honey produced from bees, one pound of beeswax results? Beeswax releases a honey-like aroma and emits negative ions that draw toxins, dust, pollen, mold and mildew from the air while it burns. These candles are 100% natural, unscented, additive free, hypo-allergenic, they burn twice as long as other waxes and are made in the USA. This is a terrific way to give an eco-friendly, charitable gift to an entire family (since the pass covers the driver plus all passengers) and gives access to over 2,000 federal recreation sites including national parks, national wildlife refuges and national forests . It’s a reasonably priced gift that will encourage friends, family members and co-workers to explore America’s most beautiful natural spaces. 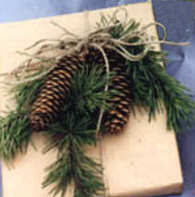 These are just a sampling of green gifts related to home & garden and charitable giving. 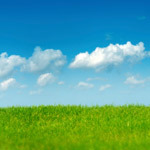 There are many impressive green and eco sites with everything from baby gifts and personal products to furniture. Are you asking the all important shopping question, are paper bags recyclable? Share your favorite green gift ideas…I’d love to hear about them. 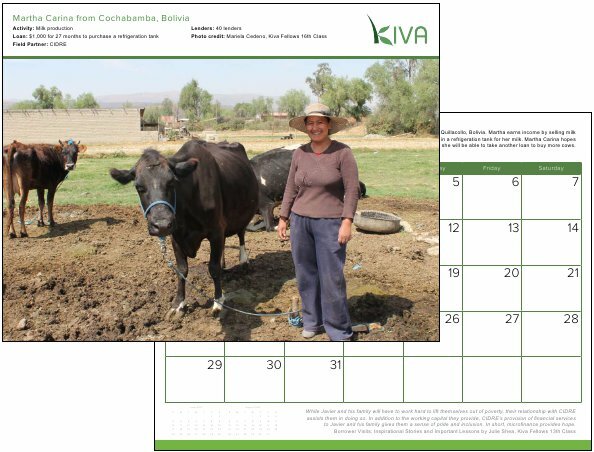 This entry was posted in Eco Products, Gifts, Green Products, holidays, Uncategorized and tagged eco products, gifts, green products, holidays. Bookmark the permalink. FIELD NOTES: THE INVASIVES – Not a Summer Blockbuster!